In late 1964 Andy Warhol commissioned young fashion photographer David McCabe to document his daily activities for one year. During the course of this project, whenever the artist called McCabe would come to meet him at The Factory, an opening, a party, a coffeeshop or any place where Warhol would decide that he wanted to be accompanied by the photographer and his camera. In the end, these images were never published, perhaps because they revealed more than the increasingly-famous Warhol was willing to share with the public. Hidden away for almost 40 years, the significant majority of these 400 duotone photos are now presented together for the first time to fulfill their original intention in an astounding tour de force of dynamic and often poignant realism: A Year in the Life of Andy Warhol. These images not only represent unique documentation of one of the most significant artists of the twentieth century, but also provide a rare behind-the-scenes look at the New York art world at a time when Pop art was at its peak. 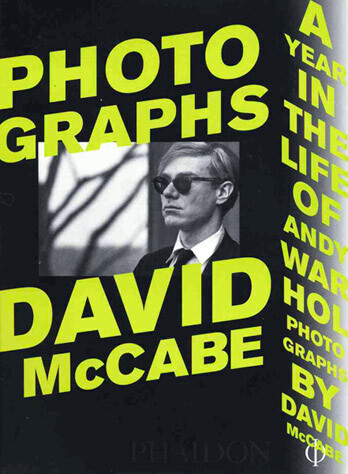 McCabe's photographs are accompanied by the entertaining descriptions and reminiscences of Factory insider David Dalton, one of Warhol's first assistants. 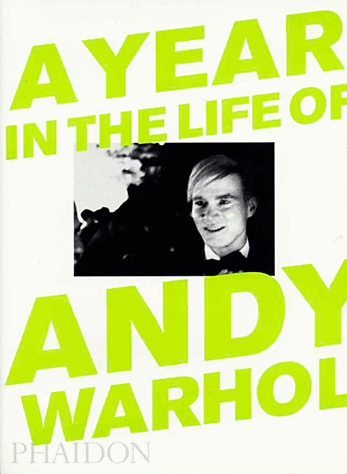 "Now Andy Warhol fans get their first chance to own a photographic diary of his circle in the year 1964-65."